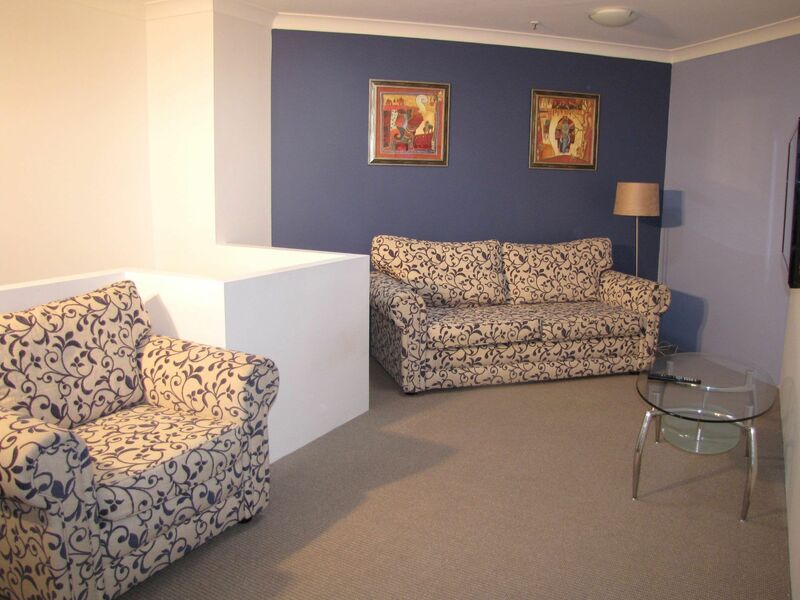 Light and airy these apartments are over two levels with a second small lounge area upstairs. 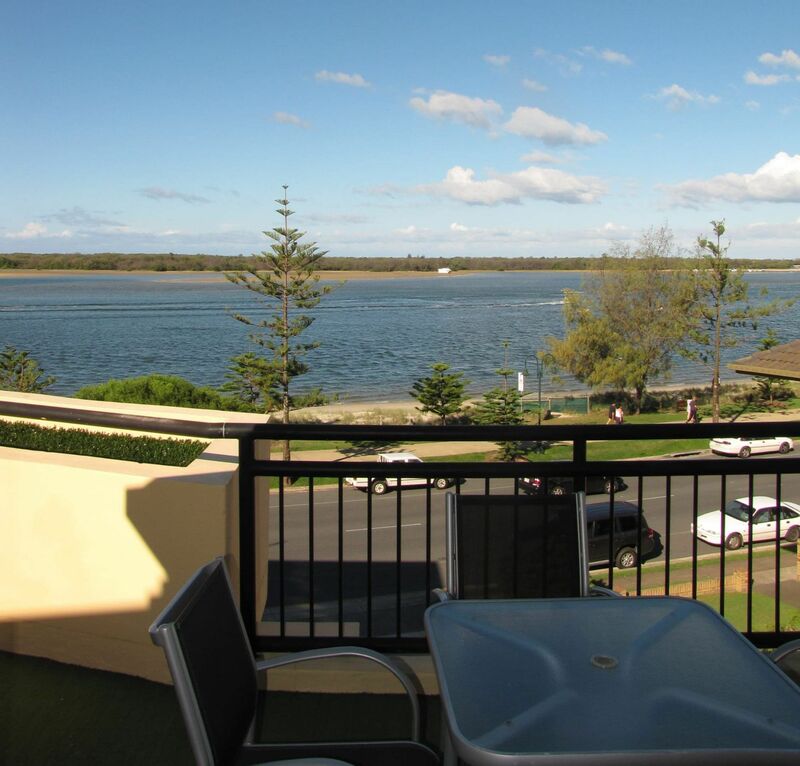 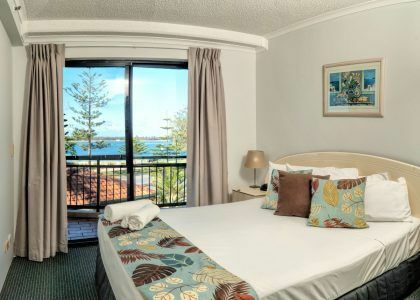 There are balconies on both levels so that you can enjoy the sea breeze and either full or partial water views over the Broadwater. 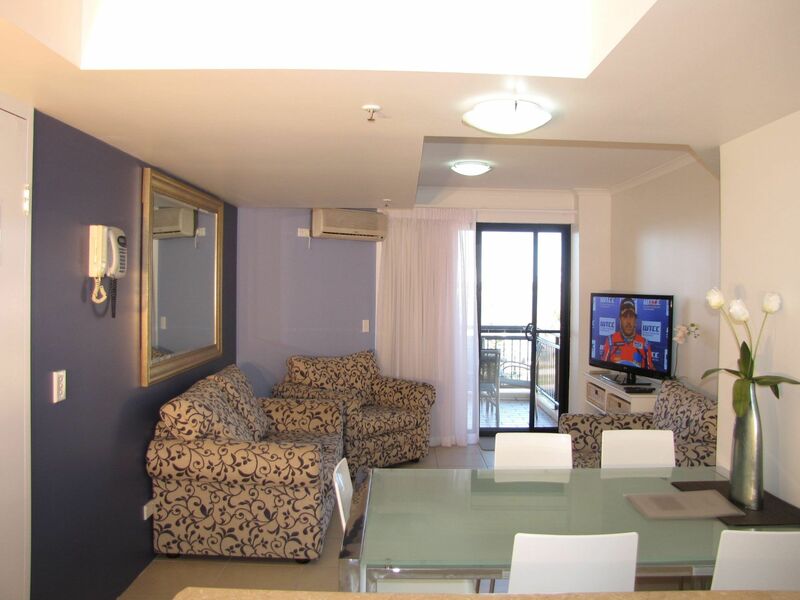 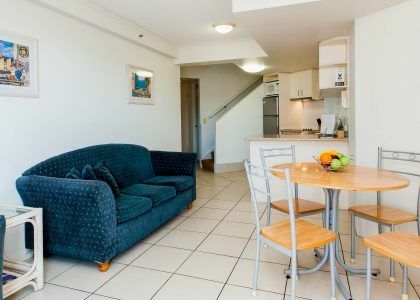 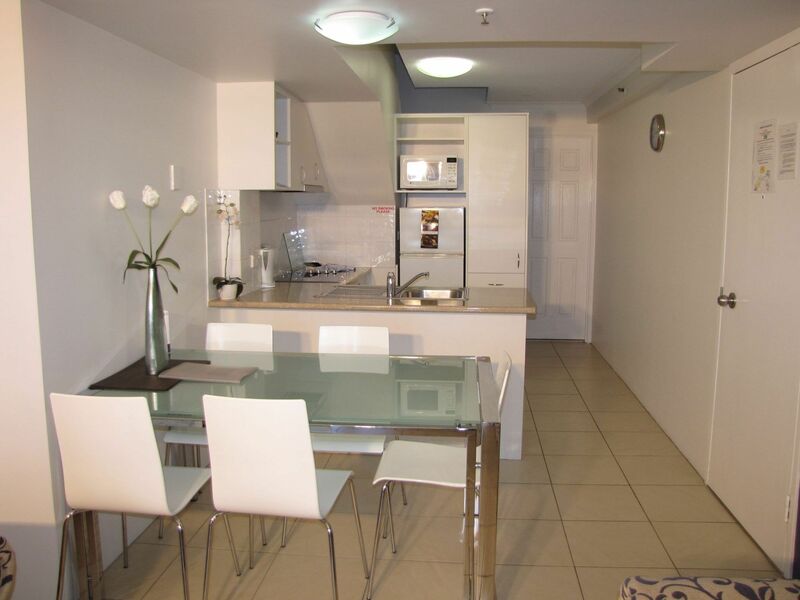 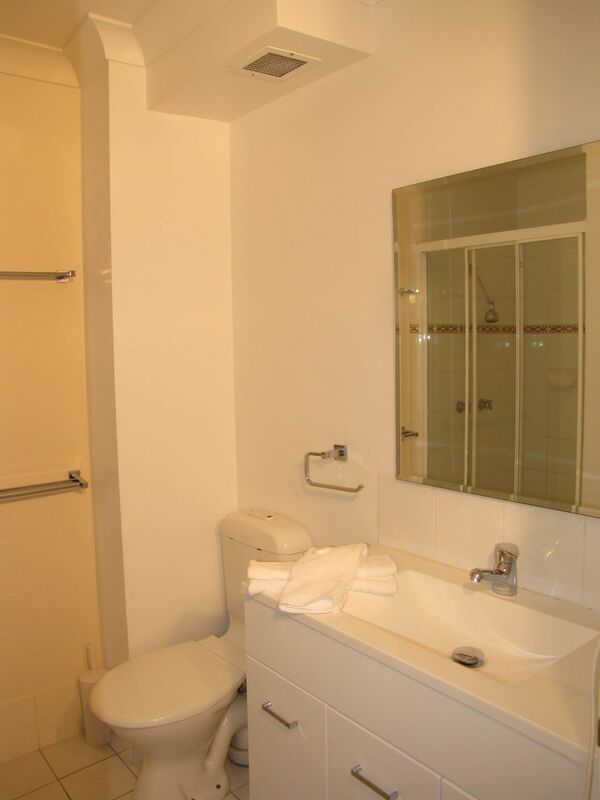 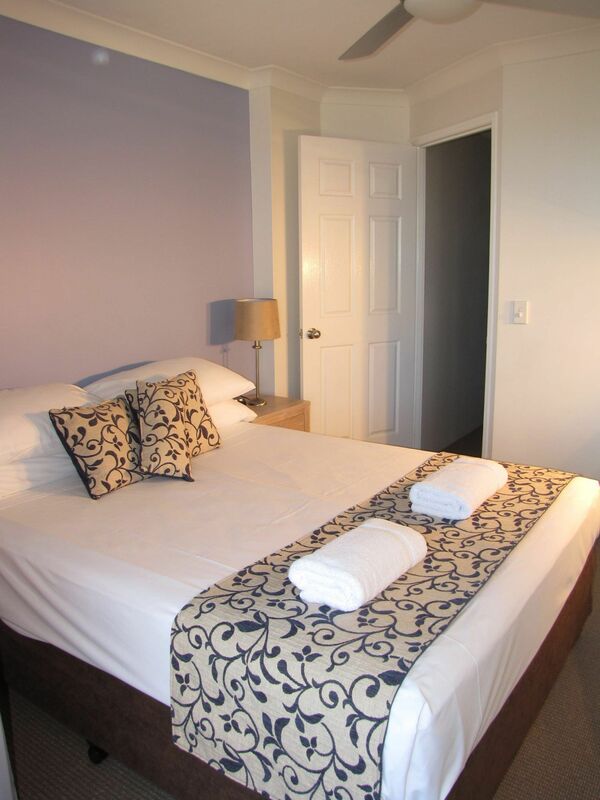 Apartments have modern kitchens and appliances for all your self-catering needs.